WHITE PLAINS – The winter season is officially underway for the Brewster High School hockey team, and what a start it was. Participating in the annual season-opening White Plains Tournament, BrewTown – as the program is known since it pairs with York… Please login below or purchase a subscription to the Putnam County Courier to access this content. 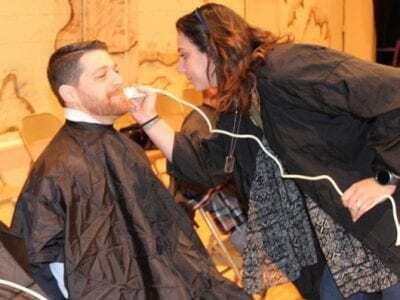 Assistant Principal Alex Levine gets a Batman motif on his beard thanks to BOCES student Alexa Byrnes of Brewster. 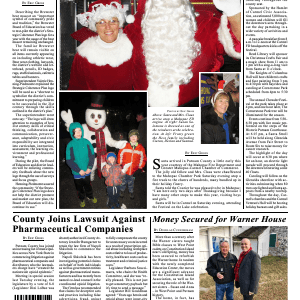 Photo by Karen ThorntonTwo dozen Mahopac Middle School educators are sporting unusual looking beards this week as a result of the schoo… Please login below or purchase a subscription to the Putnam County Courier to access this content. Celebrate with a Messiah Sing-Along! Revel in the spirit of the season at St. Luke’s Episcopal Church, Route 100 Somers, on Saturday, December 9th, at 7PM. Join The Westchester Oratorio Society as they perform choruses and select solos from all three parts of Handel’s Messiah, led by Co… Please login below or purchase a subscription to the Putnam County Courier to access this content.